What can you grow in your HydroVeg garden? 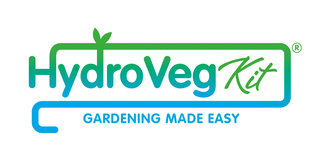 HydroVeg means year-round crops, with no dirt, no digging, no slugs, no snails. Use a trailing variety like Tumbling Tom or container/ hanging basket varieties in your HydroVeg garden – they have a sweet flavour and grow over the pipes rather than upwards. We have plumb and cherry tomatoes this year, they are ripening now and can't wait to taste them. Make sure they are in good light and the pesky courgette hasn't taken all the light. The great thing with the HydroVeg Kit is you can move plants quickly to different positions. Everyone can have delicious strawberries by growing them in hanging baskets, and growing them in your HydroVeg garden is just as easy. Plus slugs and snails can’t reach the fruit! Our strawberries this year were fabulous, juicy and sweet...must grow more next year. It's at times like this you want another 41 pots!! It's great to know we can eat them before anything else does!! Cut and come again - spinach just keeps on giving! Some cultivars can be overwintered for an early spring harvest. Winter cultivars need a sunny position, but summer types benefit from a little shade. We had "Everlasting Spinach" through the winter last year, and way into the spring. Beautiful!! For beans and peas choose the container or hanging basket versions, as they will grow round the pipes, and not as vertical. Peppers and chillies love the HydroVeg Kit, great varieties are on sale in the garden centres, which not only taste good but look good on your hydroponic garden! It must be the minerals in the water: you'll find that courgettes do really well - and you can even deep fry the flowers. Keep an eagle eye out for sneaky ones trying to grow into marrows! If the bigger leaves start to cover everything else, you can cut some off. It won't damage the plant. These lovely purple beauties really love the HydroVeg kit. Although they seem to be slow at the start, watch out for the roots! They can grow really big and need to be trimmed so that water continues to flow through the pipes. Watch out for the spikes though. Ouch!! They can hurt! This year we are trialing container blackberries. We bought three plants, putting two in soil and one into the HydroVeg garden to see how they grow. Check out our blog for updates! The best types of lettuce to grow are the leafy varieties, rather than the large iceberg types. Quick tip is to buy the "Live" varieties of salad leaves from the supermarket. Break them up into 5/6 sections. Wash off the soil and place them in your pots. Then the shop salad can grow and you can eat more for your money. Might be best to cut a hole in the pot to enable the roots to go through the bottom for the water. Fabulous, and so many salad leaf varieties in the shops now! Kale was plentiful in our HydroVeg garden all through the summer and winter, and we never lost a plant in the frost. You can cut whatever amount you need for each meal and it has really tender stalks - unlike supermarket packet varieties. We just love a mixture of kale leaves and broccoli leaves in our food, either steamed or in curries and stews. They don't wilt and shrivel like spinach, and boy are they good for you!!! Yes you can eat everything in the purple sprouting broccoli. The younger leaves can be eaten in salads... they taste a bit like peas!! See the picture of our curry in the photo gallery. Parsley is a biennial herb which flowers in its second year, parsley is usually grown as an annual but is generally hardy and so will overwinter. We often keep our plants over winter, so that we have fresh parsley early the following year. Best putting the parsley high on the system and it doesn't like it too wet. Chives just thrive!! Cut off what you want, when you want it. The best basil to grow, we have found is the small/micro leafed basil. Basil is great on tomatoes, melon, and pineapple!